Bluewater Comics have announced a new bio-comic, Orbit: The Cast of Doctor Who, which is to be published from January 2012. The comic has been written by Paul Salamoff, with artwork from Jaime Martinez Rodriguez, Scott Boyce and DJ Burgess; covers have been created by DC Comics artist Joe Phillips. There will be two versions of the comic which features all eleven television incarnations of the Doctor, a single issue form and a combined graphic novel which will also feature a bio on the movie Doctor as played by Peter Cushing. At Bluewater Comics we felt that a show like Doctor Who needed to have a bio-comic done. There were so many fine actors who played the role of the time traveler, we just wanted to highlight the careers of a handful of the actors. I have been obsessed with Doctor Who for as long as I can remember. My office is literally filled with Doctor Who Toys, Books, DVD's and Daleks. Lots of Daleks! I find that the possibilities with the character are endless and the stories touch on every aspect of science fiction that I love. The graphic novel is available to pre-order from our Amazon Shop. The Doctor Who Experience will be running a special 'Christmas Grotto' to celebrate the festive season. 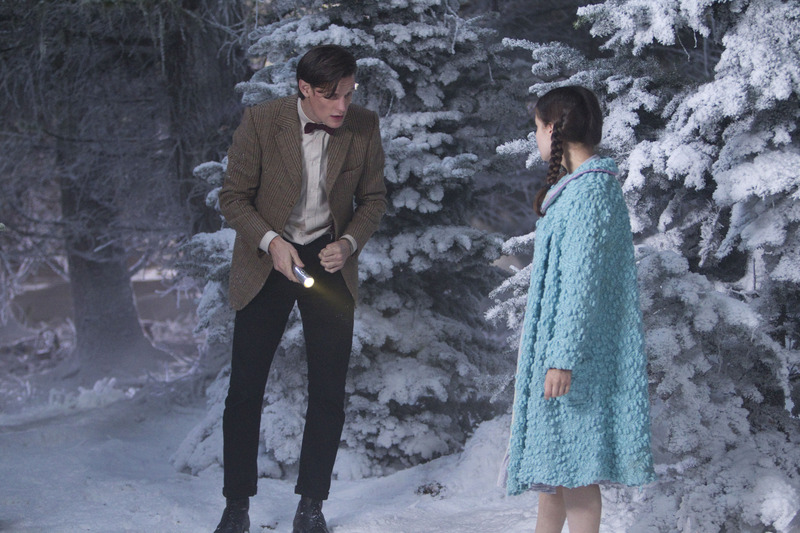 The attraction aims to "showcase a magical world of Doctor Who festivity in a bespoke new grotto which will take visitors on a time travelling journey through the television series’ spectacular Christmas specials." Santa Claus will be on hand to meet visitors who explore the yuletide treasure trove of props and costumes, which includes the waitress outfit worn by Kylie Minogue in Voyage of the Damned and the Robot Santas seen in The Christmas Invasion and The Runaway Bride. Access to the grotto is via a £5 supplementary charge (adults accompanying children are free), with children receiving a Doctor Who gift as part of their visit. Tickets can be booked alongside a regular Experience ticket via See Tickets or at the Doctor Who Experience shop. The grotto is open on the following dates: 2nd-4th, 9th-11th, 16th–21st December. 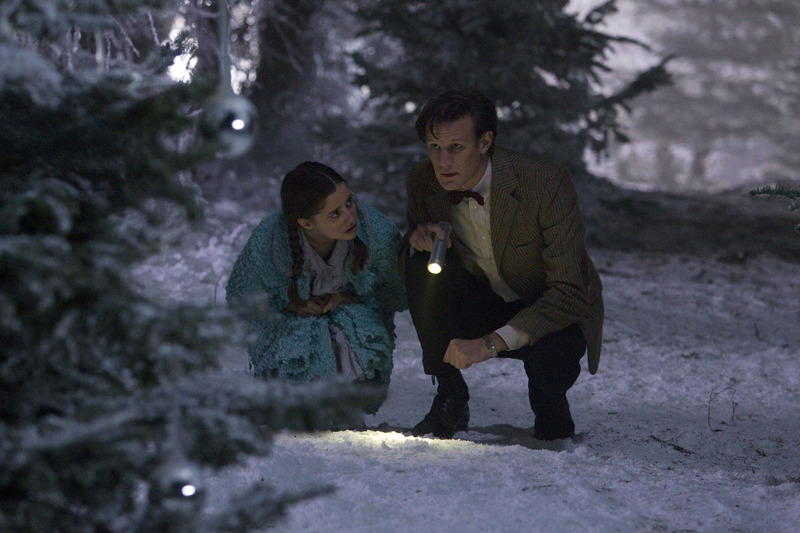 The BBC's official Doctor Who feed on Twitter has announced the broadcast of Doctor Who's festive adventure, The Doctor, The Widow And the Wardrobe, will be at 7:00pm on Christmas Day on BBC1/BBC1HD. 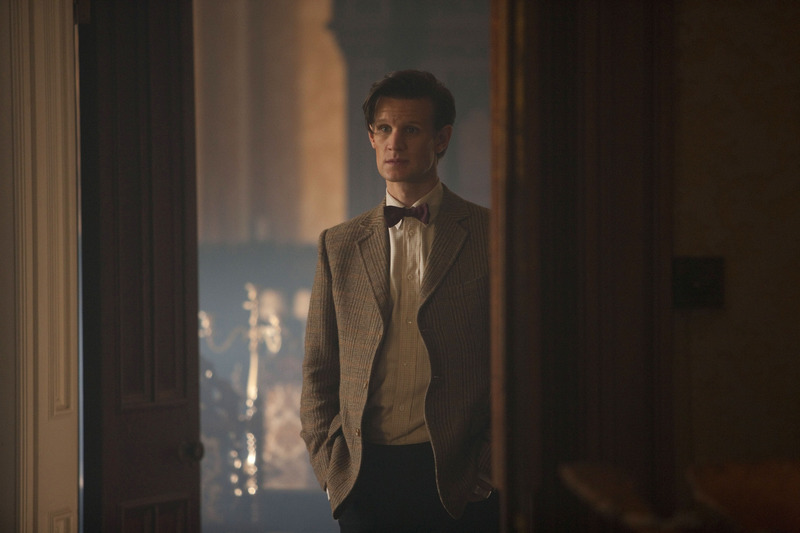 The hour-long special stars Matt Smith as the Doctor alongside Claire Skinner, Holly Earl, and Maurice Cole, with Alexander Armstrong, Bill Bailey and Arabella Weir. The Radio Times has confirmed the episode's broadcast details, which will see it scheduled against All Star Family Fortunes on ITV1. The lead-up to Doctor Who will be The Gruffalo's Child, something its predecessor The Gruffalo successfully provided for The End of Time (pt1) back in 2009. 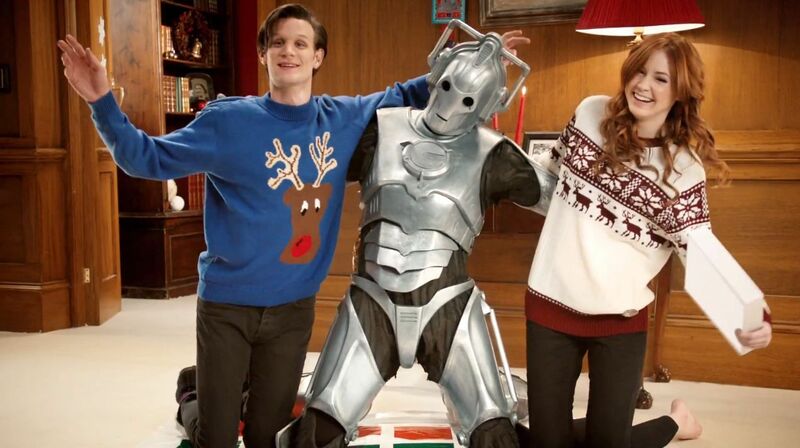 The full Christmas schedule will be in the festive double issue of the Radio Times, published this coming Saturday. Tom Baker appeared at the launch of Elisabeth Sladen’s autobiography which took place on Saturday at the Doctor Who Experience in London. 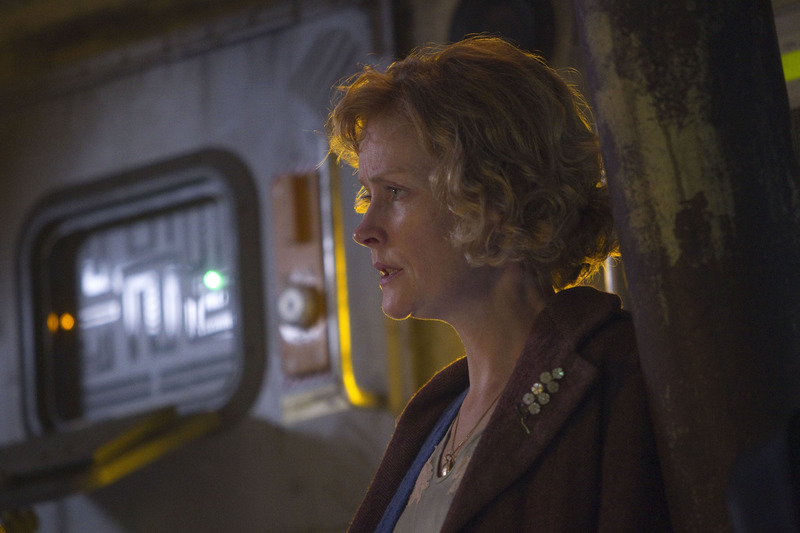 Baker said that meeting Sladen changed the direction of his life as it made him so happy in the role of The Doctor that her realised he could play the character for the rest of his life and didn’t need to act any more. He spoke of how they adored each other and how he fondly remembered standing arm in arm with her inside the TARDIS, giggling while they waited for their cue. 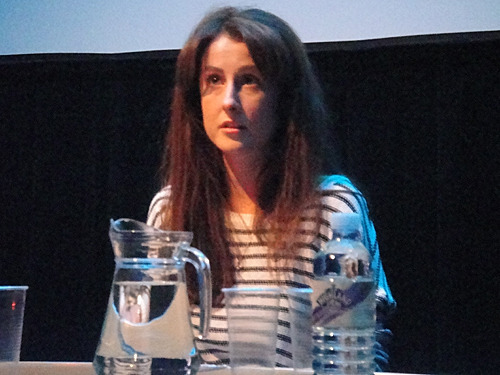 Baker was joined at the launch by former Script Editor Terrance Dicks and by Sladen’s daughter Sadie Miller. 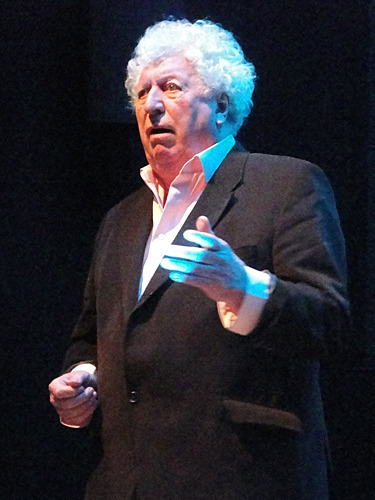 Dicks remembered Sladen’s qualities of self possession, dignity and independence, qualities he drew on when writing scripts for the character of Sarah Jane, while Miller said the family were keen to have the autobiography published as a thank you to the fans of Elisabeth. 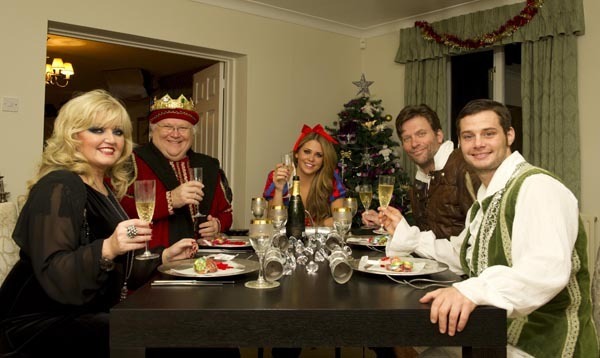 Channel 4 have released a publicity photograph for Colin's forthcoming appearance in Celebrity Come Dine With Me that will be broadcast over Christmas, alongside other celebrities Linda Nolan, Bianca Gascoigne, Nick Bateman and Danny Young. 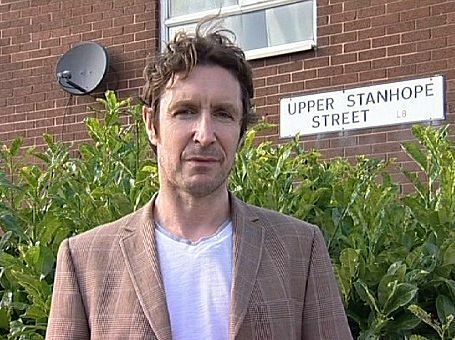 Paul McGann explores the rumour that Adolf Hitler spent time in Liverpool before the First World War in an item to feature on the BBC's regional programme Inside Out (North West) on Monday 28th November, 7:30pm. Paul talks to author Mike Unger, who has written the book The Hitlers of Liverpool based on the memoirs of Hitler's sister-in-law wherein it is reported that the future German leader fled to England to avoid national service in Austria, staying with his half brother and her in late 1912. The programme will be available to viewers in the UK on the BBC iPlayer after broadcast for seven days. As the book was such an important part of my childhood, I was very familiar with the character of Pod. Ian Holm, who I’ve worked with, is one of my heroes, as is Jim Broadbent – both fantastic actors, so it was nice to think that I’d play a role that those two great actors have played. I also thought it was interesting, because I’m obviously a very different type to Jim and Ian and I like the fact that Pod can adapt like that. Pod borrows his clothes from an action figure of the 80s, perhaps loosely based on a character from Raiders Of The Lost Ark. I think that appeals to Pod’s image… he’s quite an adrenaline junkie, he likes risk and adventure. Pod is also a lovely dad, and a hero. I’ve played lots of troubled men and ‘anti-heroes’, but Pod’s a straight hero. There’s a great sense of humour to him, and a gentleness. That’s what attracted me to the role. You can read more of Chris's interview and about the programme via the BBC's Media Centre. Chris's current project is a new thriller for the BBC, The Fuse, which started filming this month. Dervla Kirwan (Injustice, The Silence) and Ewen Bremner (Page Eight, Perfect Sense) join Christopher Eccleston in this original four-part drama for BBC One, written by Bill Gallagher (Lark Rise To Candleford, The Prisoner) and produced by Red Production Company (Exile, Single Father). 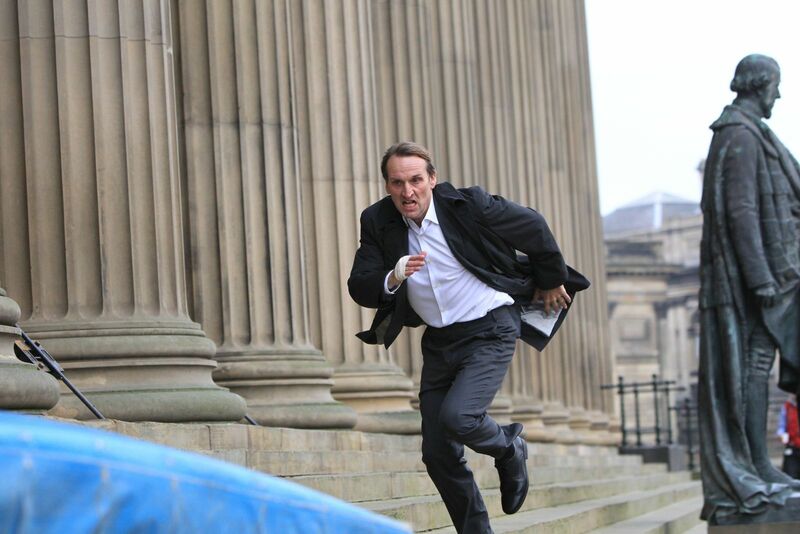 The Fuse follows Daniel Demoys (Eccleston), a stranger in his own life. Over the years he has gone from being an idealistic young man with a burning desire to make the world a better place, to a disillusioned and corrupt council official. His alcoholism has driven a wedge between him and wife, Alex (Kirwan), and their three children. The fallout from his alcohol-fuelled actions prove agonising for all around him. Christopher Eccleston says: "Bill Gallagher has written a fantastic four episode drama about obsession, addiction and redemption. I'm very excited about the role of Daniel Demoys and to be working with Red Production Company and BBC One". You can read more about The Fuse via the BBC's Media Centre. 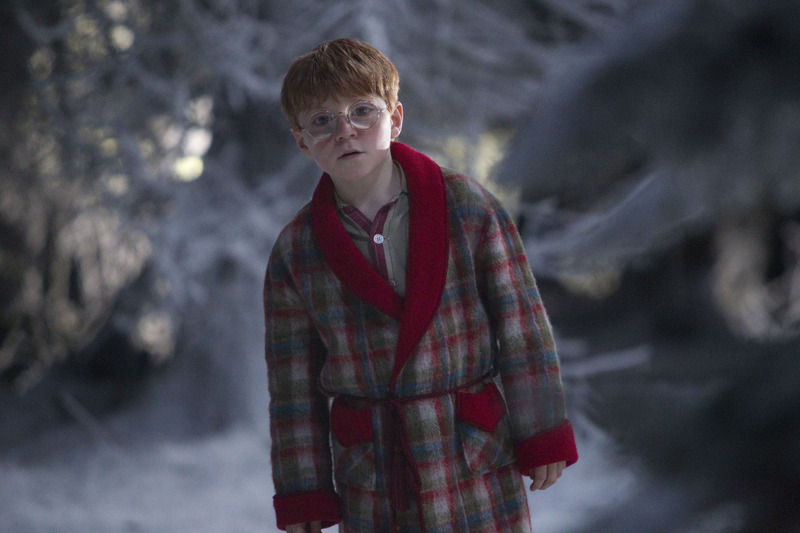 The BBC have released some more information on Matt Smith's project Bert and Dickie, which he filmed over the summer. 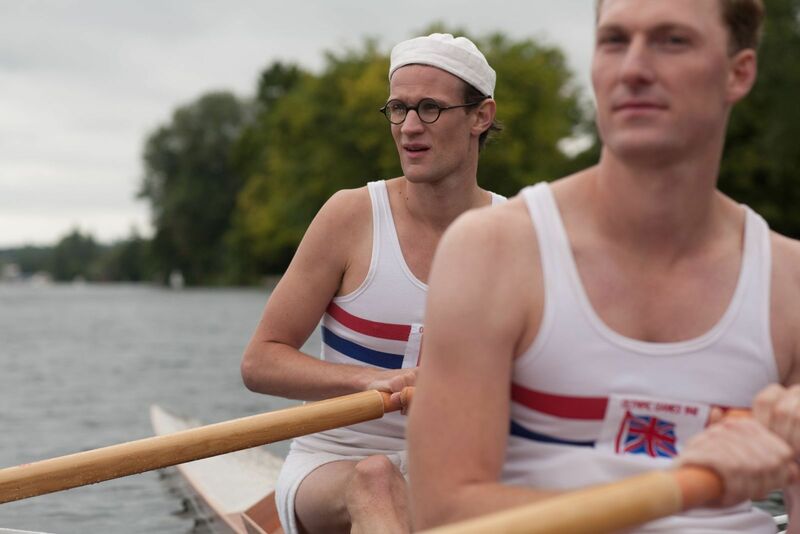 Written by William Ivory and starring Matt Smith, Bert And Dickie is the uplifting story of how two young men defied all the odds and achieved gold in the double sculls. Thrown together just five weeks before the final of the 1948 London Olympics, Bert Bushnell and Dickie Burnell not only pushed physical and emotional limits, but also rose above distinctions of birth and class to become Olympic gold medallists. 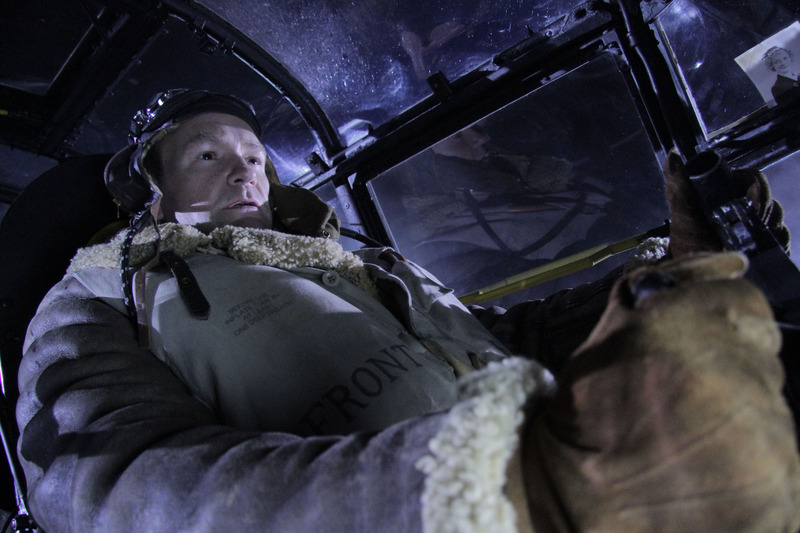 Bert and Dickie’s personal battle reflects a much greater struggle as London prepares to host the Olympic Games. In 1948, just three years after the end of the Second World War, London is half-destroyed. But, determined not to “let the Games die”, the British Olympic Committee convinces Prime Minister Attlee that the Olympics could help bring the country back together – and the Austerity Olympics are born. While London again prepares to host the 2012 Olympics in a difficult economic climate, this film will remind viewers what the Games are really about – heroic personal endeavour, courage, determination… and a little bit of luck! 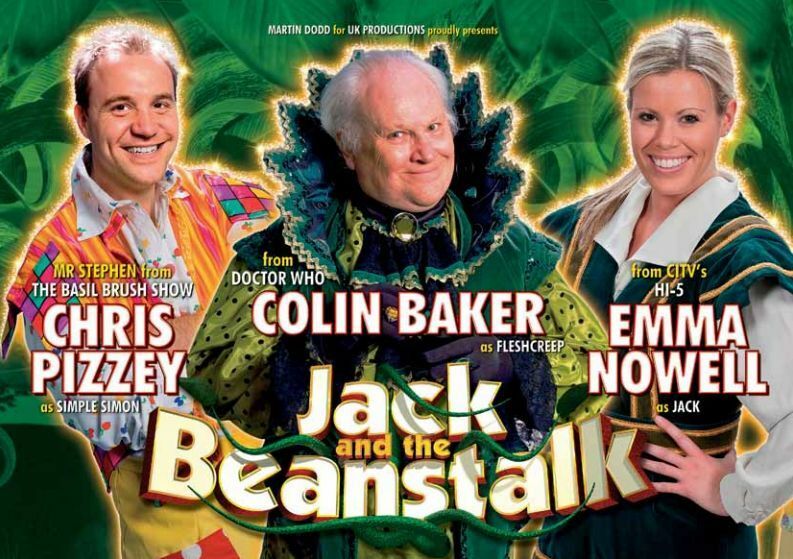 Matt Smith is Bert Bushnell, Sam Hoare is Dickie Burnell, James Frain is Jack Beresford, Douglas Hodge is John Bushnell and Geoffrey Palmer is Charles Burnell. 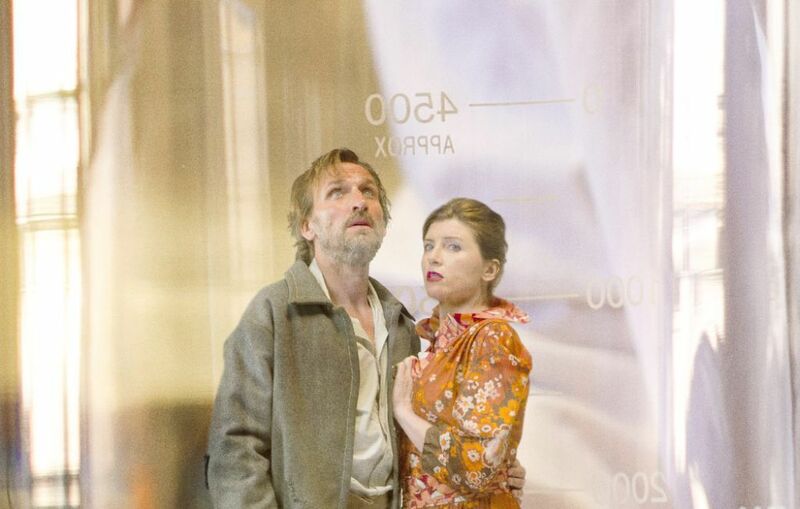 The film will form part of the BBC's Cultural Olympiad 2012. I saw David (Tennant) on Saturday; it was Steven Moffat's birthday party. I was like, "It's Doctor Who!" I saw Peter Davison as well who was at the same party. Steven was very excited that there was more than one Doctor there, and I can't help but go "Oh my God. It's Doctor Who!" But then I realise I'm the Doctor! The BBFC have classified several features for forthcoming DVDs in the Doctor Who range. March is the expected date for the next Revisitations boxed set, which contains the following three stories. The Robots of Death (classified 23rd/25th November): The Sandmine Murders (32m22s), Robophobia (11m47s), Studio Sound (1m1s), Model Shots (7m38s), Continuity (42s), and Photo Gallery (5m35s). The Three Doctors (classified 23rd November): Happy Birthday To Who (23m10s), Girls, Girls, Girls - the 1970s (21m15s), and Was Doctor Who Rubbish? (13m59s). No features have been classified for Tomb of the Cybermen at this time, though two audio commentaries were passed for the story on the 25th November. The latest issue of Doctor Who Magazine provides more detail on the features, and also confirms the commentaries: The Sensorites features William Russell (Ian), Carole Ann Ford (Susan), Joe Grieg (Second Sensorite), Martyn Huntley (First Human), Giles Phipps (Second Human), Frank Cox (director), Raymond Cusick (director), Sonia Markham (makeup); The Tomb of the Cybermen's new commentary features Deborah Watling (Victoria), Frazer Hines (Jamie), Bernard Holley (Haydon), Shirley Cooklin (Kaftan), Reg Whitehead (Cyberman), Victor Pemberton (script editor); The Robots of Death also features a new commentary with Tom Baker (The Doctor), Louise Jameson (Leela), Pamela Salem (Toos), and Michael E. Briant (director). People interviewed for The Face of Evil documentary Into The Wild include producer Philip Hinchcliffe, designer Austin Ruddy and visual effects designer Mat Irvine. Other forthcoming feature titles include The Military Mind, Battle for Mars Probe 7. 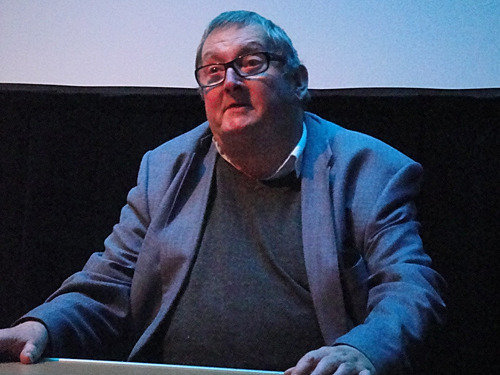 Nicholas Briggs has provided Dalek voices for a forthcoming feature. There's a Narnia-esque shape and feel to the telling of this story. 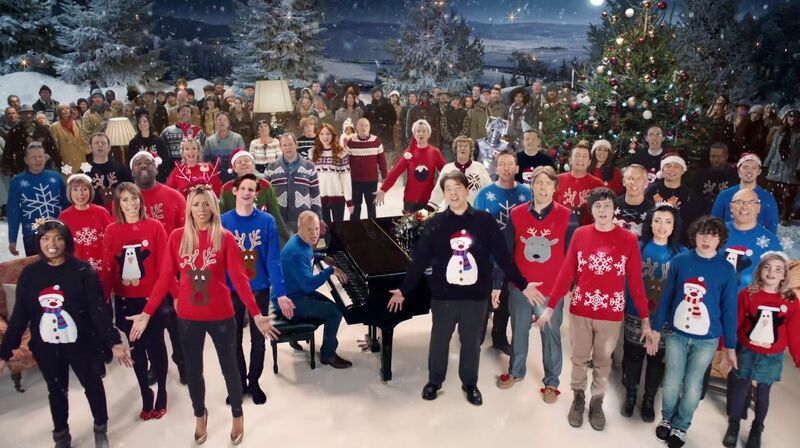 Whereas last year felt more like a Christmas romp, there's a slow-burning, ethereal magic to this. It's the equivalent of a knighthood. I've watched Doctor Who for as long as I can remember. My earliest memory of watching TV is hiding behind the sofa from the Cybermen. I had an irrational fear of leaving doors open for years after that. You can read the full interviews with Matt Smith, Bill Bailey, and also with co-stars Alexander Armstrong and Arabella Weir in the issue, available in shops from 26th November. The next issue is published on 1st December, with the 'legendary double issue' of the Radio Times for the Christmas period following on 3rd December. You can find all covers featuring Doctor Who in the Radio Times Gallery, and latest information in their Doctor Who section. In short, the technology allows an internet-connected device, whether that’s a smartphone, a pair of headphones (or in our case, a toy Dalek) to pick up Wi-Fi signals synchronised to the TV programme, to allow that device to perform a specific function at a specific time. We call this technology Universal Control. 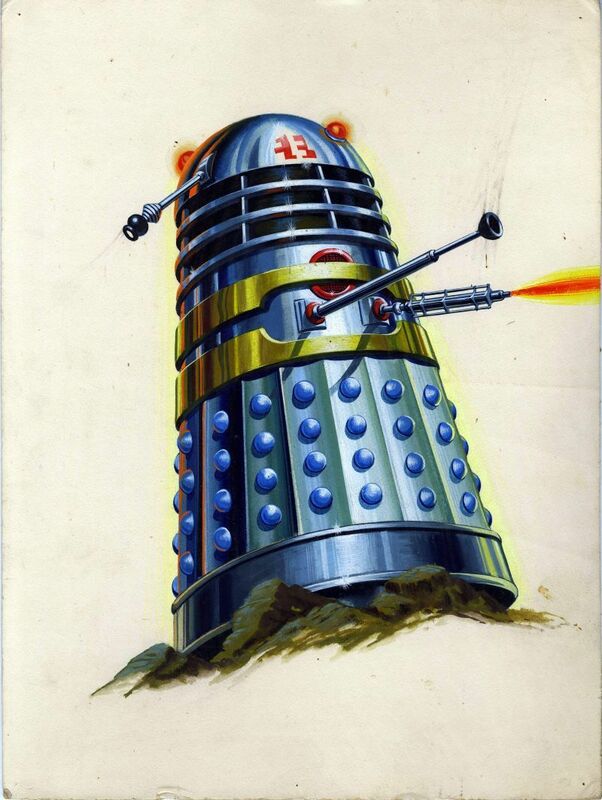 The Dalek mentioned above was a prototype developed by Andrew Bonney to demonstrate how such technology could work, in this case having the toy react upon scenes broadcast that involved its television counterpart. 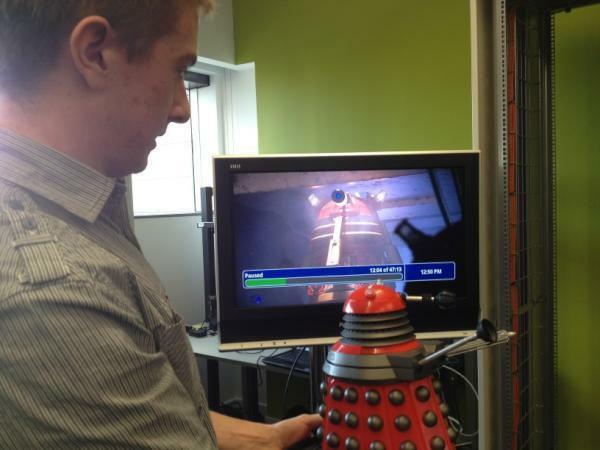 Andrew's deft modification of an off-the-shelf Dalek toy achieved everything we wanted from the project. We gained valuable insights into the challenges of developing Universal Control clients for an embedded platform with just 32kB of RAM, while demonstrating their feasibility in a very striking way. It's also an entirely new take on the concept of "dual screen", demonstrating that the things you can synchronise to a TV programme go way beyond smartphone and tablet applications. Developing toys is not part of BBC R&D's remit! But the Dalek helps us with a part of our mission that is far more important: helping BBC programme makers understand how changes in technology could affect their work. As computing power continues to become cheaper and as more and more devices gain wireless connections to each other and to the Internet, we expect to see an increasing number of everyday things gaining these capabilities. Of course, this is the world of R&D. Today's televisions and set-top boxes don't support the Universal Control API, or anything like it, so you won't see WiFi-enabled Daleks taking over your living room this Christmas. But we firmly believe that the experiments broadcasters are currently performing with Dual Screen experiences are just the tip of the iceberg, and that tomorrow's television programmes won't always be confined to a screen in the corner of the living room. The practical application of such technology can lead to the development of devices such as those that can provide 'single-switch' remote control interfaces for severely disabled people, or speech-operated controls for those whose vision has been impaired. 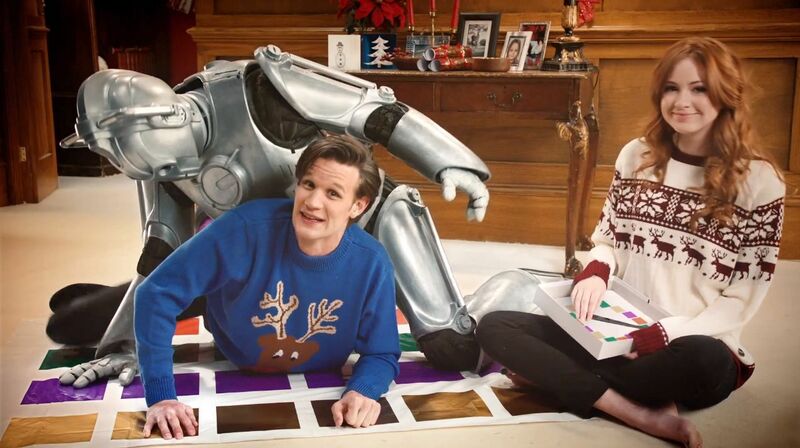 The BBC have released their BBC One festive trailer for 2011, featuring a number of well known celebrities appearing on the channel including David Jason, Graham Norton, Sir Bruce Forsyth, the BBC Breakfast crew, and the kids from Outnumbered; Doctor Who is represented by Matt Smith, Karen Gillan and a Cyberman! Silva Screen have released the tracklisting for the soundtrack to Series Six of Doctor Who, due for release in the UK on 19th December, 2011. The two-disc set includes music from throughout the series, composed by Murray Gold and played by the BBC National Orchestra of Wales, conducted by Ben Foster. The CD is available to pre-order on Amazon. Which One Is The Flesh? What’s Left To Be Scared Of? 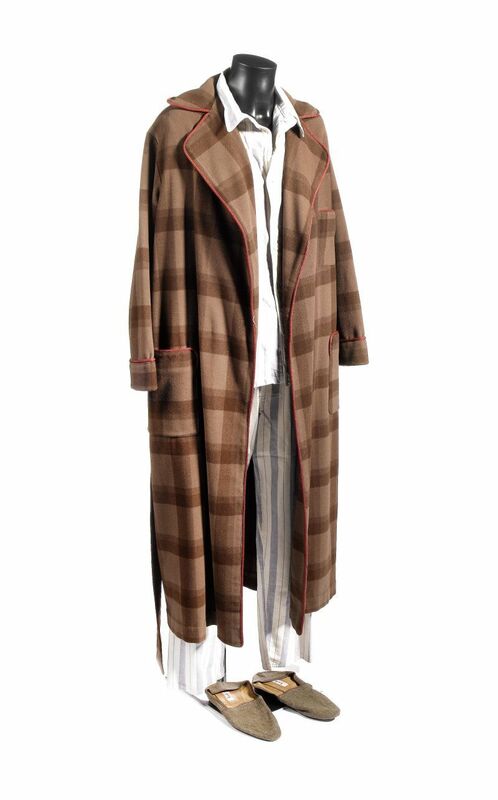 The next Entertainment Memorabilia auction at Bonhams takes place on the 15th December, and features a range of costumes from the 21st Century series of Doctor Who offered via Angels The Costumiers - including several of the Doctor's outfits. There are also a couple of 'classic' items, with the preliminary artwork for 1964's The Dalek Book and a spaceship prop from Battlefield. David Tennant as the Tenth Doctor: A three-piece suit, shirt and tie, being the principle character costume, worn during the sequence where the Doctor is hiding under the persona of the Teacher John Smith, the brown tweed suit, with orange and black coloured thread, comprising jacket, waistcoat and trousers, bearing 'Total Look Costumes' label inside, together with a white cotton shirt with removable collar and a brown bow-tie with circular motif, together with a black teachers cape, with inscribed label inside 'Smith', a square academic hat (mortarboard), of black cotton, and a pair of black leather boots. 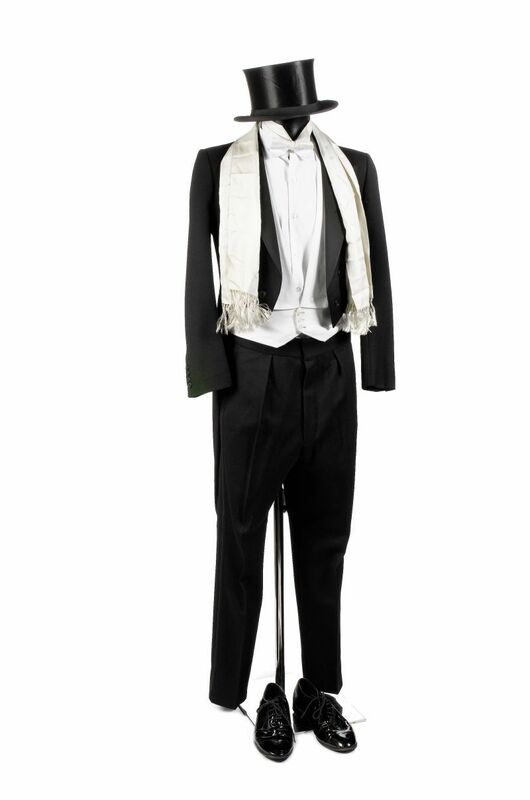 The suit part of this lot features during the Dance sequence onward, and in the promotional photographs for the episode. The cap and gown feature during the school sequences. The label inside is typical of modern BBC television labelling. 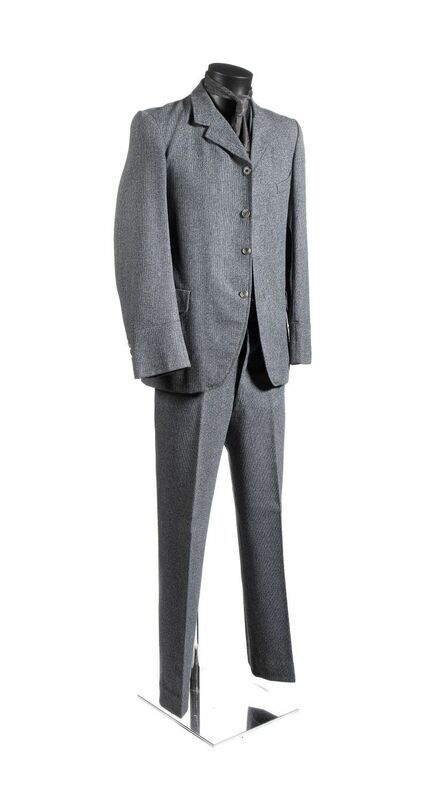 David Tennant as the Tenth Doctor: A three-piece suit, worn during the sequence where the Doctor is hiding under the persona of the Teacher John Smith, comprising a grey/ blue tweed suit with brown/ cream plastic buttons, together with a brown paisley type tie, all items bearing 1980s Morris Angel & Sons Ltd. labels. 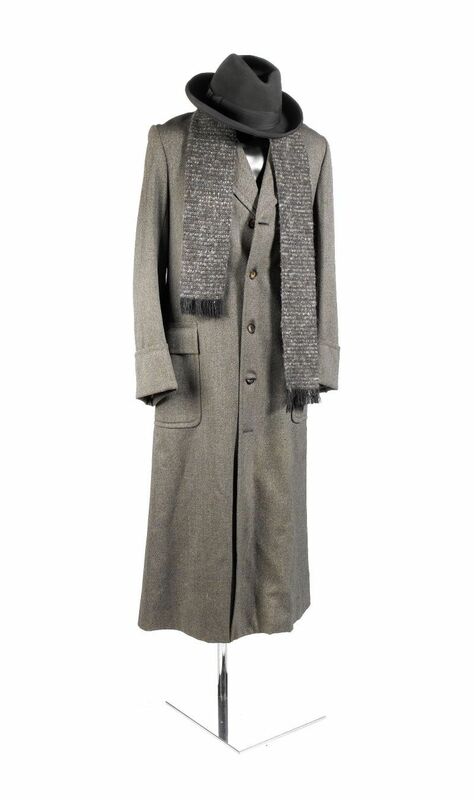 David Tennant as the Tenth Doctor: A grey/brown 3/4 length overcoat, hat and scarf, featured during the outdoor scenes, the coat of tweed with large plastic buttons, with black masking tape applied over interior label; a grey and orange wool scarf, with a black trilby type hat, of black fabric with synthetic trim, together with a pair of red cotton pyjamas featured in the scene where the Doctor is an old man. 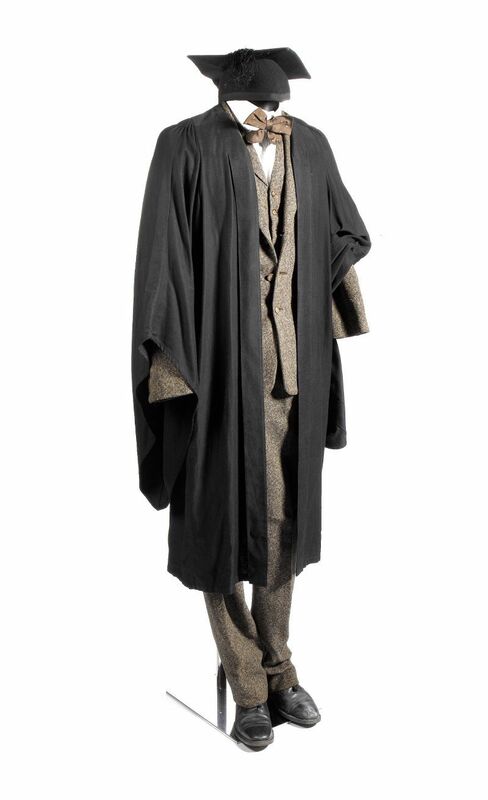 Matt Smith as The Eleventh Doctor: A complete Wedding guest outfit, comprising: a black satin 'Opera' type collapsible top hat, in original box, with black ribbon trim; a black tail coat, of wool with satin effect collar; a white waffle type waistcoat; a white shirt with waffle type front together with matching collar and bow-tie; a cream coloured silk scarf with tasselled edge; a pair of black tuxedo trousers, with matching braces and a pair of black size 10 men's shoes, together with the original costume returns bag. 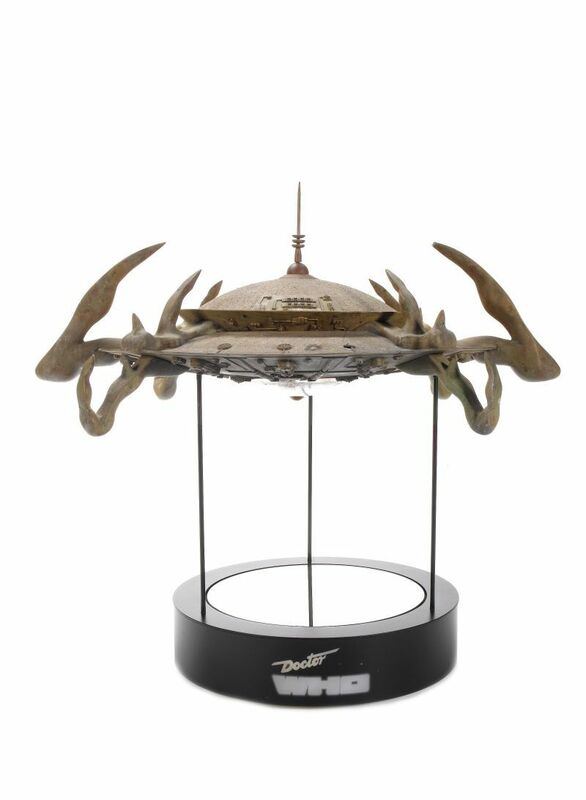 The ship is classed as an 'Organic Spaceship' in this episode. It lies on the bottom of Lake Vortigern containing the body of King Arthur, apparently in suspended animation, and his sword Excalibur. The ship is made from different materials including metal, resin and fibreglass. The ship was used for underwater shots - the 'blow hole' where a stream of bubbles emanates at one point is clearly visible. This can be operated by a switch. This was one of two models made, the other model was blown up. We shot the portraits over two days, firstly at my studio and a week later in the historic town of Rye. After reading up on Tom's personal website, I discovered his love of France, this led me to buy a bottle of red wine and serve it to Tom in a large crystal goblet. Even though it was 9am this seemed to relax Tom into the role of raconteur; I was then treated to some of his wonderful stories as we shot the session. The art gallery quality 18"x12" prints are available to order from the Legend Photography website, and each are personally signed by the actor, who will also personalise the print on request. Tom Baker prints from Legend Photography, via YouTube. 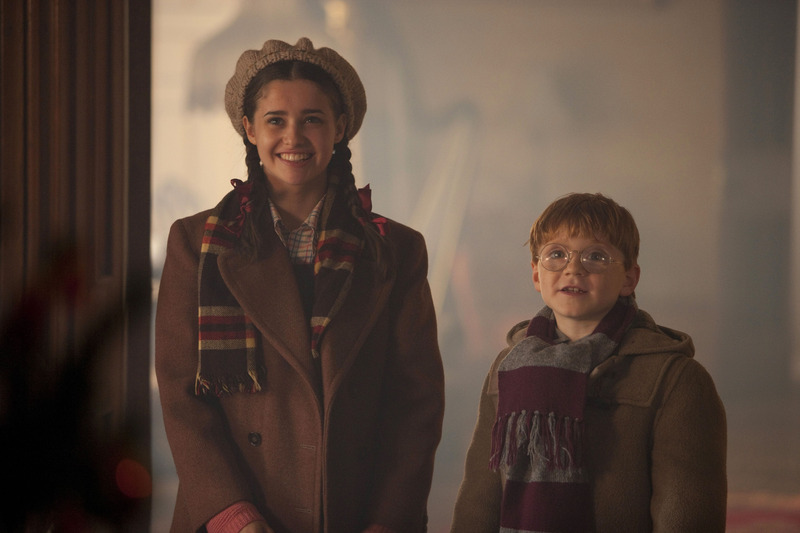 The BBC have released a few more publicity images for this year's Christmas Special, The Doctor, The Widow and the Wardrobe, featuring guest stars Claire Skinner as Madge, Alexander Armstrong as Reg, Holly Earl as Lily, and Maurice Cole as Cyril. The series launched on BBC Television at 5.16pm, sandwiched between Grandstand and the Tele-Goons, where it was watched by 4.4 million people. 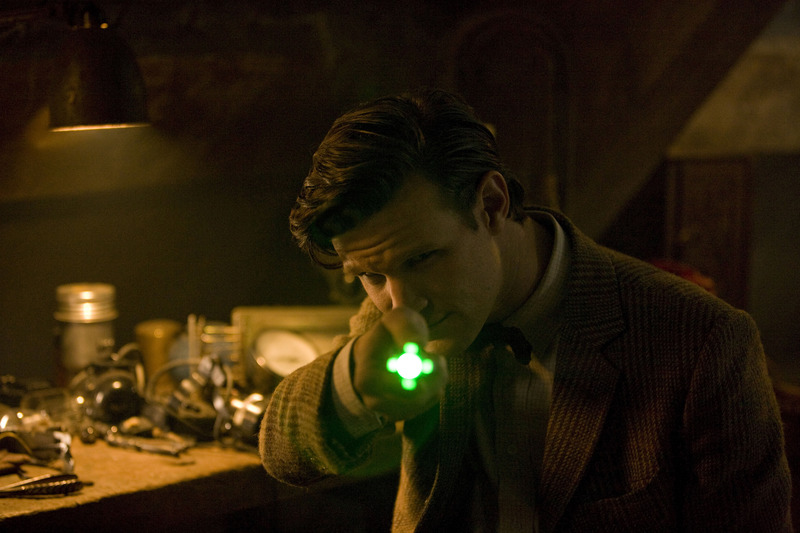 Over the following 48 years, eleven actors have taken the role of The Doctor. There have been 224 stories and 783 episodes as well as numerous spin-offs in the form of Books, Audio Plays and Cinema films. The programme is listed in Guinness World Records as the longest-running science fiction television show in the world, and as the "most successful" science fiction series of all time, in terms of its overall broadcast ratings, DVD and book sales, iTunes traffic, and downloads. The first episode, An Unearthly Child, saw the introduction of William Hartnell as The Doctor, Carole Ann Ford as Susan Foreman, Jacqueline Hill as Barbara Wright and William Russell as Ian Chesterton. Written by Anthony Coburn and CE Webber it was directed by Waris Hussein, designed by Peter Brachacki, script edited by David Whitaker and produced by Verity Lambert. The whole series was overseen by BBC Head of Drama, Sydney Newman and Head of the Script Department Donald Wilson.